Way back at the end of July. 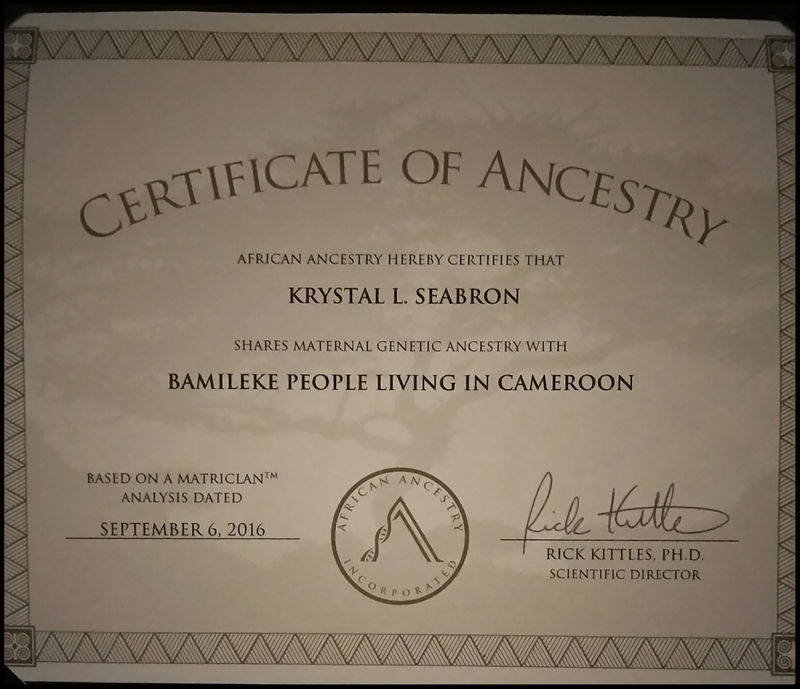 I told you about my quest to discover my ancestry and sending in my DNA to be analyzed. I have my results. No it did not take this long to get them back. I have been so involved with going back to college, working and taking care of my family that this post did not got done. Sorry, so here it is. Drum roll please lol. I know it hard to read this so here is the just of it. 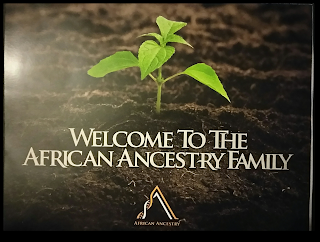 My MatriClan analysis successfully identified my maternal genetic ancestry. 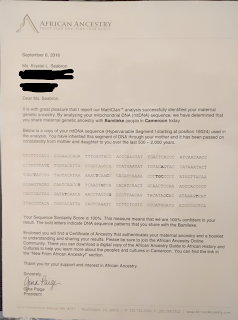 My Sequence Similarity Score is 100%. 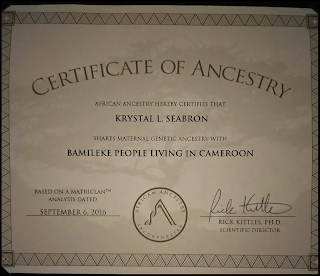 Which means African Ancestry is 100% confident in my results. 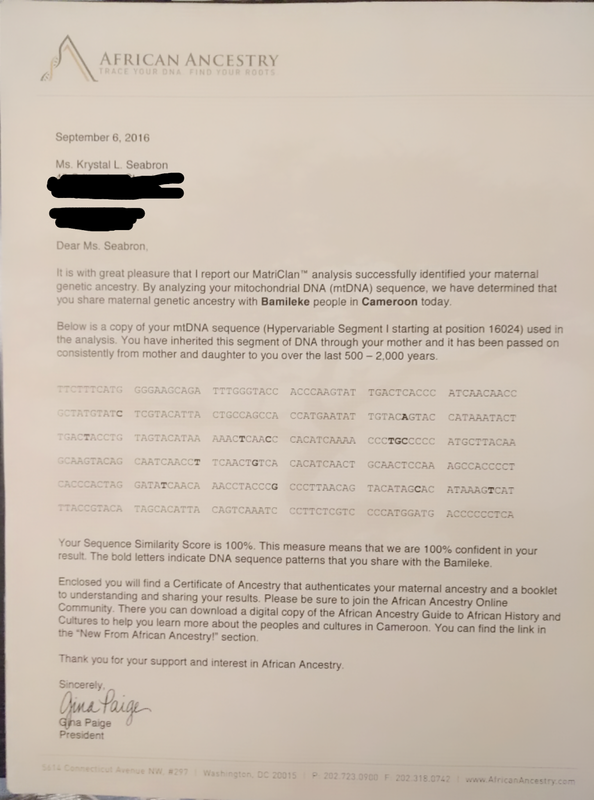 I was so surprised about my results being 100%. A lot of people I've seen on YouTube state the results are mixed. I don't really remember anyone saying 100% match. I know this is my maternal side only but honestly I have no plan to test my paternal side. I was raised by my mom and my mom's family. I knew my day but I don't remember his family. I honor those ancestors on his side in my prayers and meditations but its my maternal side I know. There you have it. 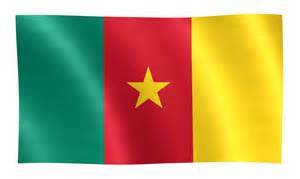 I am Bamileke, Cameroon. 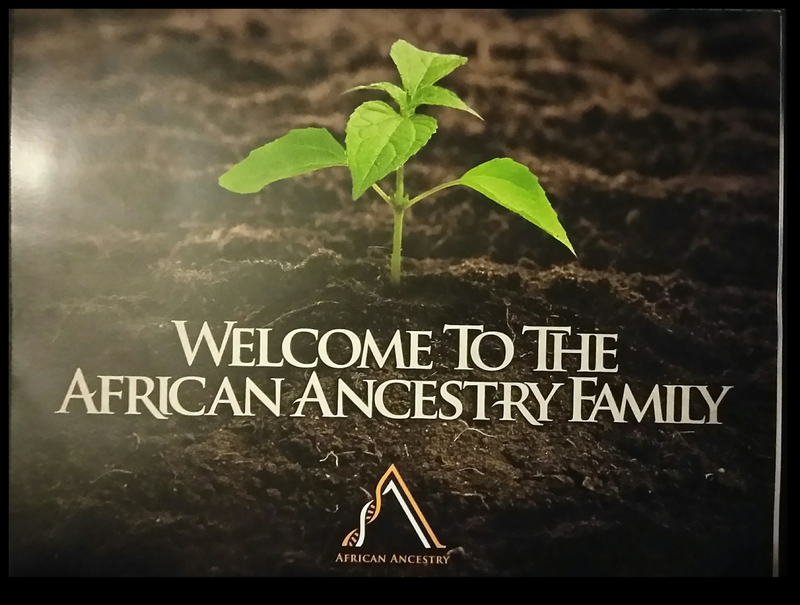 I recommend African Ancestry to anyone searching for their African roots. Next steps, going to visit my home land. I'll keep you posted. It is such a great feeling to know. I encourage everyone to do it.